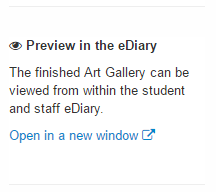 The MyEDiary Art Gallery is a simple and beautiful way to display student artwork, photos of your school grounds, or happy snaps from your recent sports carnival. 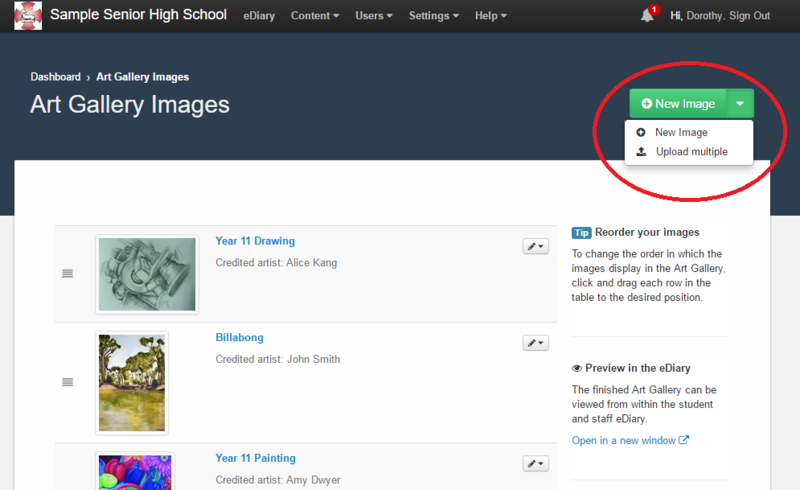 Enter the name of the image and the artist who should be credited. 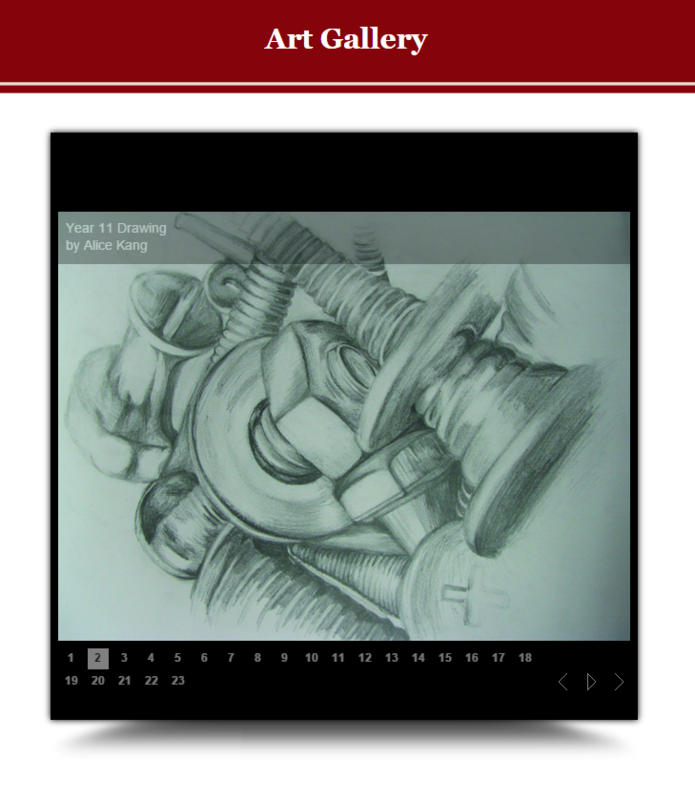 Then choose the image file(s) from your computer: TIP: Images in the Art Gallery can be ordered in any way you choose. 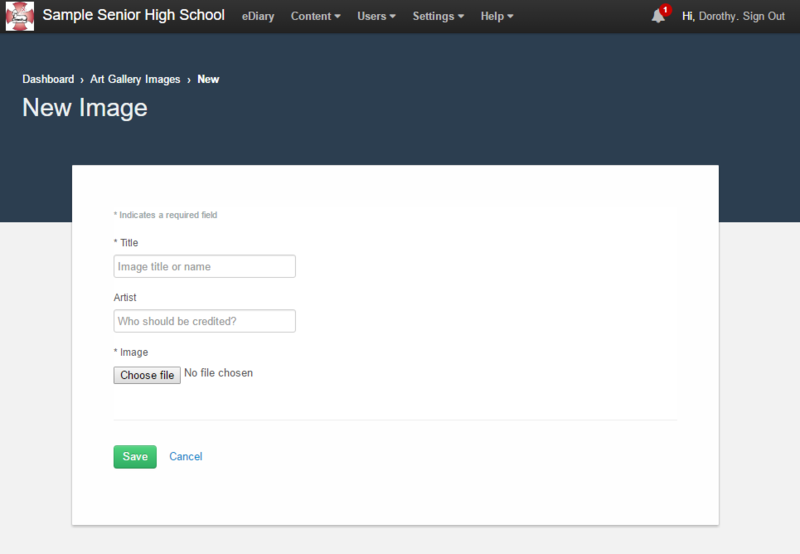 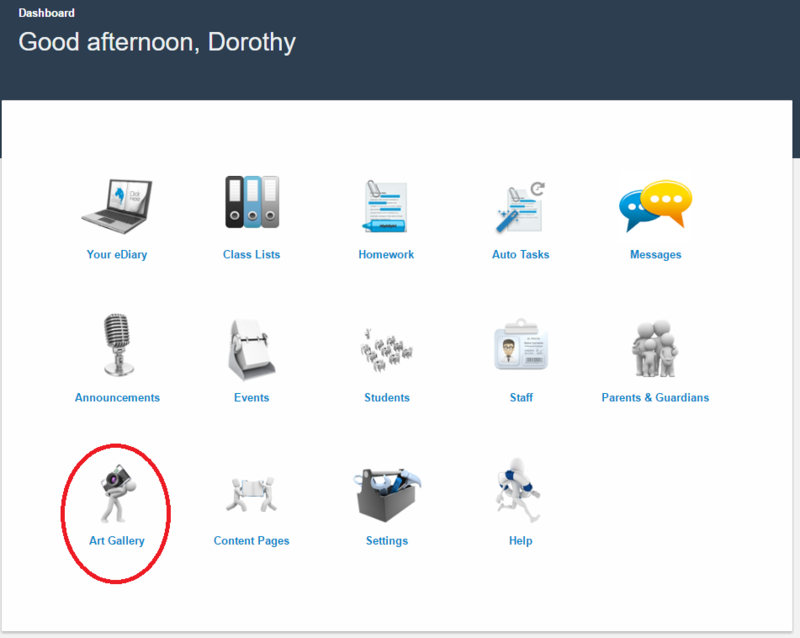 On the Art Gallery management page, click and drag each row to your desired position.